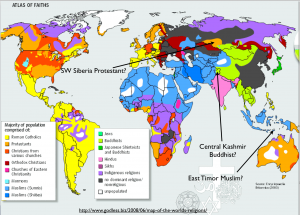 In teaching the global geography of religion this term, I have again been disappointed by the quality of relevant maps that are readily available on-line. Making a map of this sort is admittedly a challenge. 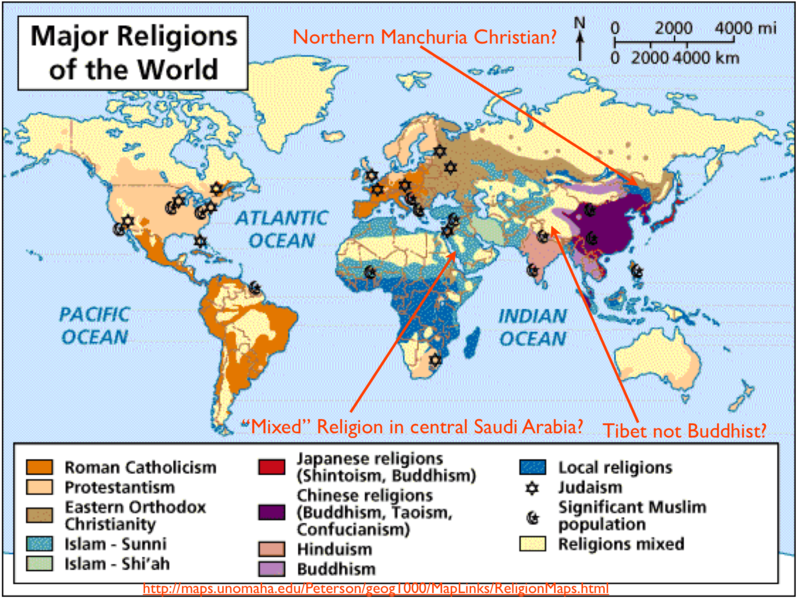 Many areas contain multiple faiths, and a few religions—Mahayana Buddhism, Taoism, Shinto—even allow their own adherents to follow other religions simultaneously. Degrees of religiosity and the prevalence of irreligion also vary tremendously from place to place. 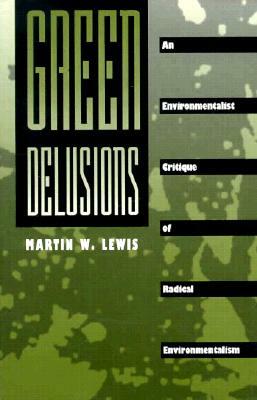 Syncretic belief systems that draw on multiple religions present a challenge of their own; an anthropologist friend of mine once described Guinea as “90 percent Muslim and 90 percent animist.” “Animism” itself is a problem, as it is not a faith but rather a catchall category. 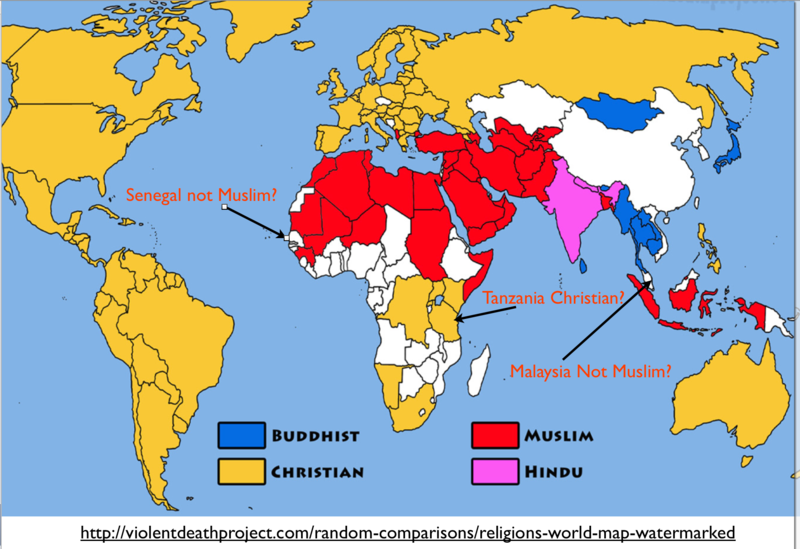 Another difficulty concerns divisions of major religions. How finely should one subdivide by sect, and how consistent should one be across the major religious divisions? If one distinguishes Sunni and Shia Islam, as well as Catholic, Protestant, and Eastern Orthodox Christianity, should not Mahayana Buddhism also be distinguished from Theravada Buddhism? How should one map less-widespread but equally distinctive religious branches, such as Ibadi Islam (Oman) and Oriental Orthodox Christianity (Armenia and Ethiopia)? 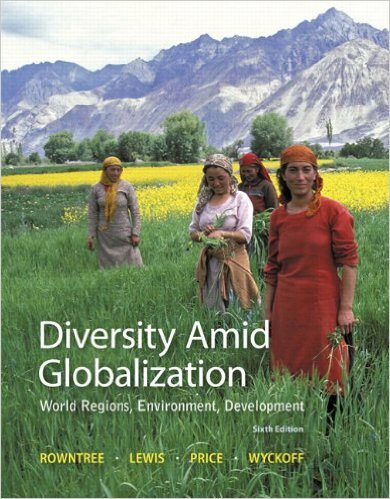 Another problem stems from rapid demographic change in particular places. 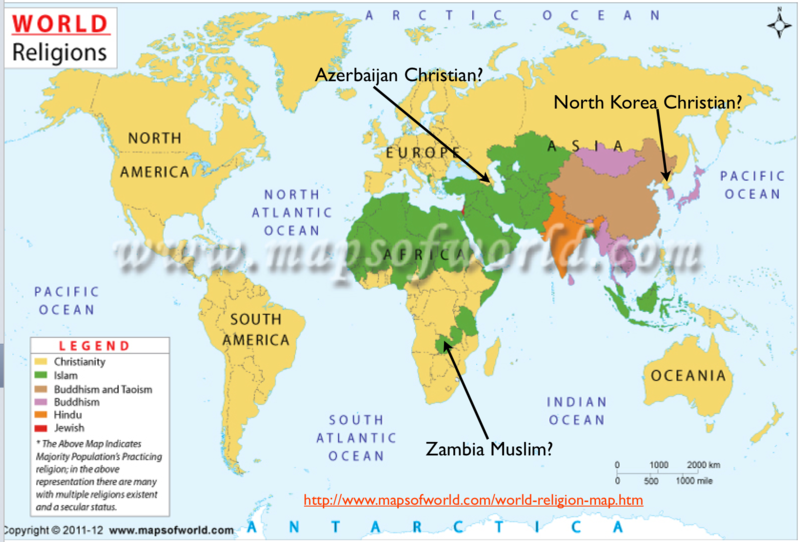 Most world religion maps, for example, show Xinjiang in northwestern China as dominated by Sunni Islam, as was indeed the case several decades ago, but Islam is now a minority faith across the eastern half of this Chinese region, owing to the massive influx of Han Chinese. 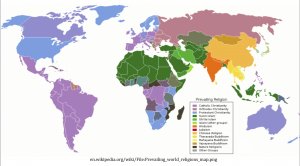 As a result of such issues, I do not expect anything approaching perfection in regard to the mapping of religious communities across the globe. 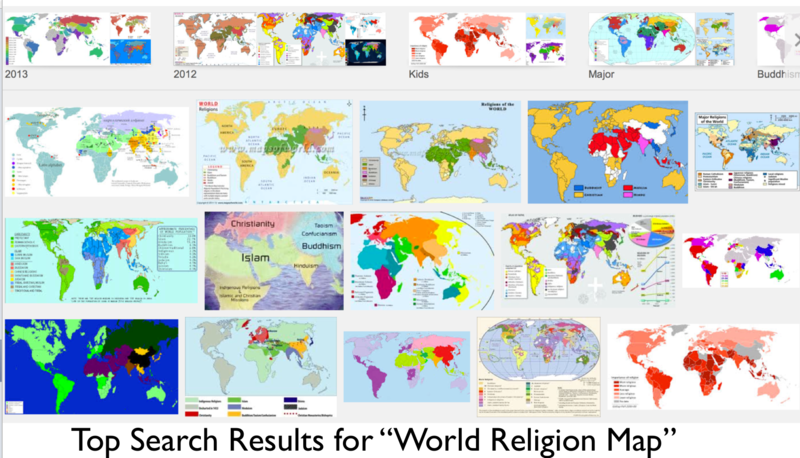 But still, what I encounter when conducting a simple Google search of “world religion map” leaves me frustrated. None of the maps in that appeared in the first few screens are adequate to the task (the top-ranked images from my most recent search are reproduced above). 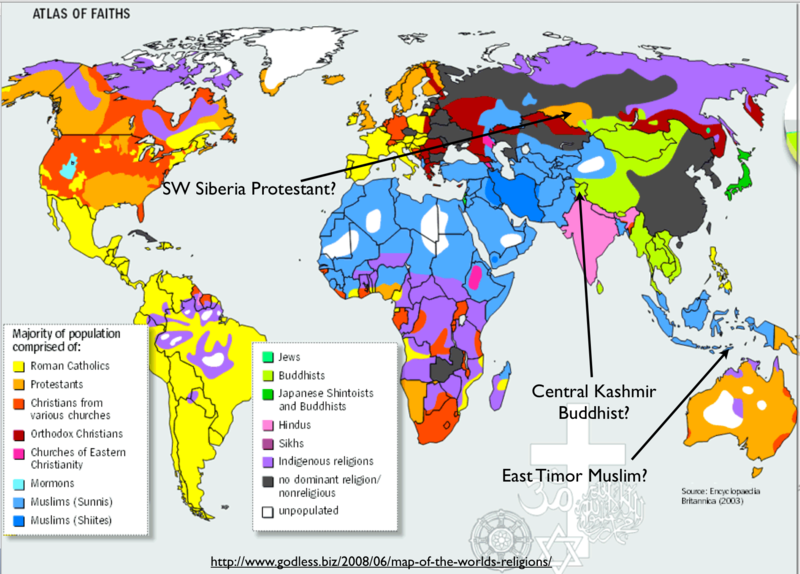 Many of these maps show all countries as religiously homogenous, a problematic but understandable cartographic expedient. But the maps that ignore political boundaries are often even more flawed. 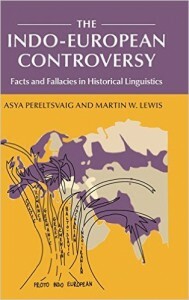 To show the extent of such problems, I have placed the top-ranked handful of maps at the bottom of this post, pointing out three major errors in each case. For most of these maps, it would have been easy to have indicated many more. 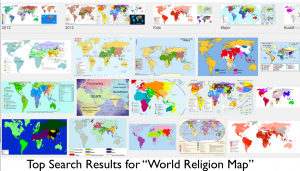 After checking out dozens of maps, I tried a different tactic, this time searching under, “world religion map Wikipedia.” This search immediately returned two serviceable maps, one country-based and the other not. 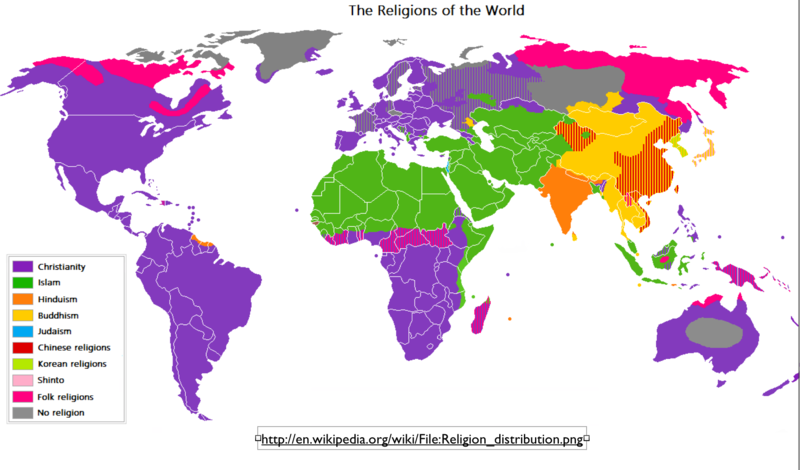 The latter map, entitled “The Religions of the World,” is particularly impressive. 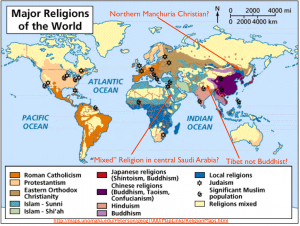 To be sure, I still have a few quibbles: why, for example, does it ignore “folk religions” (animism) in the upper Amazon and in the southern half of Africa, and why does it place generally secular areas (such as the Czech Republic) and uninhabited zones (such as central Greenland) in the same “no religion” category? 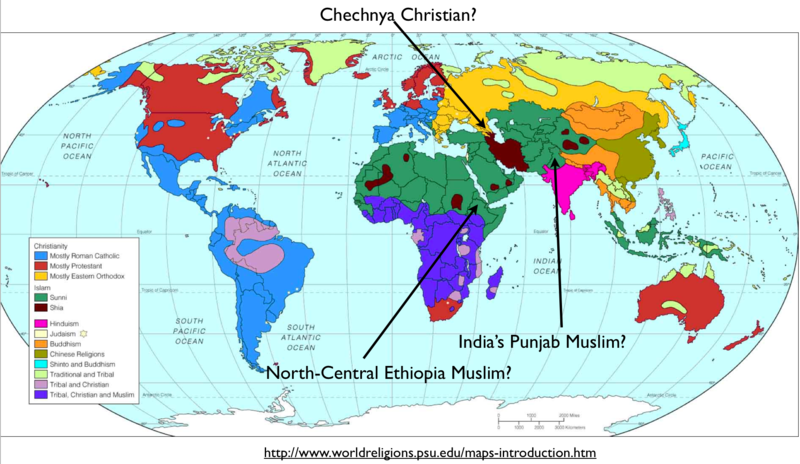 But note as well the map’s exquisite details, which capture, for example, the Pomak Muslim area of southern Bulgaria, the Buddhism of Russia’s Kalmykia, and the Christianity of Mizoram, Nagaland, and Meghalaya in northeastern India. 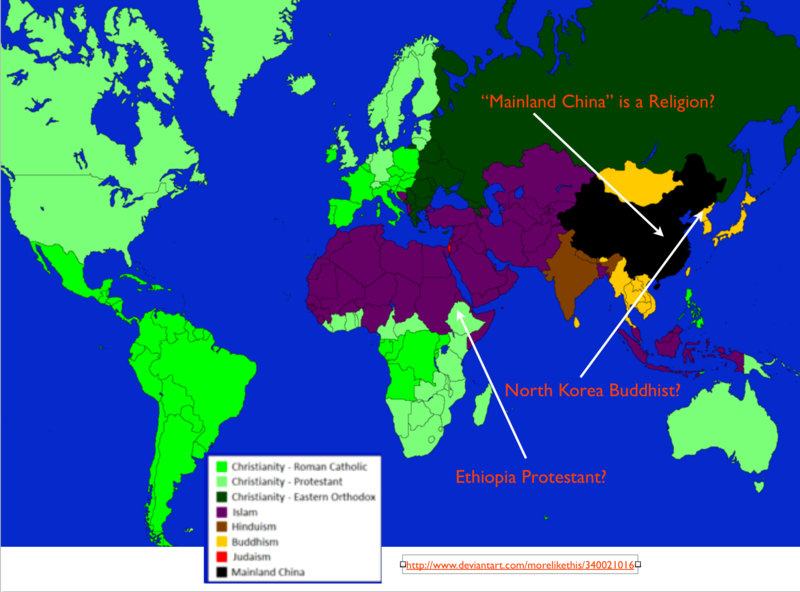 In most of the poor-quality world-religion maps found online, the errors are basic and relatively similar. 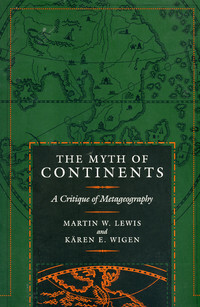 But one high-ranking map, reproduced here to the left, is altogether different. On first glance, I assumed that this map depicts an alternative reality in some elaborate realm of fantasy game playing. I was intrigued, as the cartographer obviously knows something about interesting but obscure religions, such as Mazdakism and Mandaeanism, and as I have long been curious about “alternative world” mapping. But when I went to the website on which the map was posted, I was bewildered, as the site is simply the personal blog of a pro-Israel Kurdish nationalist living in Sweden who favors “liberal social democracy.” Bizarrely, he seems to label this map “Austria-Hungary. Ottoman empire. 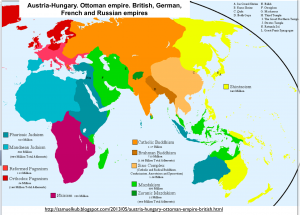 British, German, French and Russian empires,” and he provides no further explanation. (I have written to him seeking further information, but he has not replied.) Many of the labels on the map remain mysterious. I can find no information, for example, on “Nkisism,” and I have no idea what “Zuranic” means, although “Zuran” is a card in the game “Magic.” Perhaps my initial suspicion was correct.